A common adage for describing a process that takes time is to say, “It’s not a sprint — it’s a marathon.” But, in some cases, that description is misleading; after all, a marathon can be completed in a matter of days. Some things can take years to accomplish. Things like building — or rebuilding — a good credit score, which typically takes at least 12 months of responsible credit use to reach. But, once you see your score rise into the 650 to 700 range, you know you’re definitely getting closer to the prize. And you’ll be rewarded for your achievement. 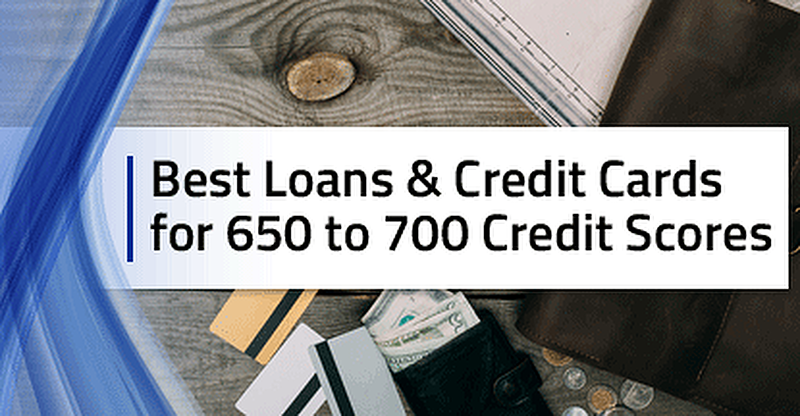 With a score between 650 and 700, you’ll find a variety of financing opportunities, including rewards credit cards. Better, those opportunities will come with much better rates and fees than are offered to consumers with lower scores. Consumers who reach the 650 to 700 credit score range are able to say goodbye to the subprime credit card arena at last. Instead, you’ll generally be eligible for prime cards aimed at fair-credit consumers, as well as some cards marketed toward consumers with good credit. If your score is on the lower end of the range and you’re uncertain of your eligibility, be sure to check for pre-qualification offers before you apply. Don’t simply assume you’re out of the running, however, as many quality credit cards will accept applicants with scores between 650 and 700. The 650 to 700 credit score range puts many consumers on the cusp between fair and good credit. This card is a good option for those consumers closer to the 650 end of things, as it is designed for cardholders with fair or limited credit. Although this card doesn’t offer purchase rewards or a signup bonus, it does come with a variety of Capital One® and Mastercard® benefits, including $0 fraud liability, extended warranty coverage, and online banking. It also doesn’t charge an annual fee. Given that this card is intended to be a credit builder, you may not start out with the highest credit limit. That said, you may be given a higher credit limit after making the first five monthly payments on time, paying at least the minimum (though, preferably, more than the minimum). And, while it’s certainly strongly encouraged — and even incentivized through credit limit increases — to avoid late payments, Capital One understands that they can happen. Your interest rate won’t increase due to a late payment, though you will be charged a late fee. Of course, you should also remember that payments that are more than 30 days delinquent can be reported to the credit bureaus, usually without notice. Delinquent payments can drop your credit score by dozens of points, so avoid paying late if at all possible. If you’re looking for a credit card that will offer purchase rewards — and you’re willing to pay for it — this card may be your winner. You’ll receive an unlimited 1.5% cash back on every purchase, with no categories to track or activate. While the annual fee can cut into your earnings, you can earn enough rewards to break even on the fee with just $2,600 a year in card purchases, which works out to about $217 a month — pretty doable if you’re using this card for your everyday spending. As with other Capital One® cards, you can receive a credit limit increase after five months of on-time payments (assuming you make at least the minimum payment). Regardless of your actual credit limit, be careful not to charge too much of your credit line; a high utilization rate — how much credit you’re using versus how much you have — can lower your credit score. Also, don’t charge more than you can afford to repay right away, especially if you’re only trying to earn rewards. Rewards won’t make up for interest charges, which will kick in if you carry a balance from month to month. Pay off your balance in full each billing cycle for the best results. This card recognizes the individual nature of credit risk and caters its rates, fees, and rewards to each applicant. So, you may be offered any of several different purchase rewards options, from 1% cash back on all eligible purchases, to cash back on eligible purchases in specific categories. Similarly, your creditworthiness will determine your exact APR and annual fee. This means the most qualified applicants will receive an offer with the lowest regular APR and no annual fee, and those applicants with more credit risk receiving higher rates and fees. The basic application process starts with pre-qualification, which uses a soft credit pull and won’t harm your credit score. Approved cardholders will start with a minimum $300 credit limit, though credit limit increases may be available (fee may apply). Cardholders will also get the ability to choose their own payment due date (see terms). Some applicants may receive an offer with an interest-fee grace period, while others may not; be sure to check your offer carefully in case it does not include a grace period. This card is another solid option for consumers looking to build a 650 to 700 credit score. Unlike the others on the list, however, this is a secured credit card, meaning you’ll need to make a deposit to open the account. The minimum deposit for this account is $200, though you can make a larger deposit to receive a higher credit line. Beyond the deposit, this card comes with no annual fees, as well as offering purchase rewards. You’ll earn 2% cash back on the first $1,000 in combined gas and restaurant purchases each quarter, plus unlimited 1% cash back on all other purchases. On top of purchase rewards, this card even has a signup bonus; on your first anniversary, Discover will match the cash back you earned in your first year. You’ll also get free FICO score tracking to help you keep an eye on your credit building progress. 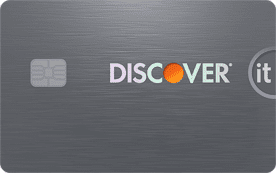 Discover will also monitor your progress, and the issuer may automatically upgrade you to an unsecured credit card if you show that you can use your card responsibly. If your account is upgraded, your full deposit will be returned. You can also retrieve your deposit by closing your account. So long as your account is in good standing at the time of closure — i.e., has no outstanding balance — then your full deposit will be refunded. Personal loans are one of the most versatile consumer finance products, as they can be used to finance just about anything, from home repairs to medical bills to debt consolidation. Personal installment loans are also relatively affordable, as they’re generally repaid through monthly payments over several years. At the same time, most personal loans are unsecured loans — meaning they don’t require collateral — which makes them a potentially risky proposition for lenders. Thankfully, a credit score in the 650 to 700 range puts you in a good position to find a personal loan. While rates and fees won’t be at their absolute lowest with a sub-700 score, your score may still net you a number of solid personal loan offers at reasonable rates. You can increase the number of offers you receive by using an online lending network to connect with multiple lenders. PersonalLoans.com is an online lending network that caters to a variety of credit types, with dozens of lender partners from across the country. Through PersonalLoans.com, you can find peer-to-peer loans, personal installment loans, and bank personal loans. Applicants can request a loan of $2,000 up to $35,000, though consumers with a lower credit score are less likely to be approved for the top amount. Personal installment loans will have a minimum term of three months and may extend up to six years. Once you select a loan offer, PersonalLoans.com will redirect you to the lender’s individual website. It’s on the lender’s website that you’ll receive the full loan agreement — which you should read very carefully before signing — and complete the process. Funds can often be obtained in as little as one business day, though some loans may take longer to disperse. Remember that you’ll be making payments to the specific lender you selected, not PersonalLoans.com. Although BadCreditLoans.com obviously has options for borrowers with low credit scores, don’t let the name fool you. The online lending network’s dozens of partners can also provide loans for consumers with fair to good credit scores, too. What’s more, the better your score, the more likely you are to qualify for a loan from the top of the size range — loans are available in amounts from $500 up to $5,000 — and at a lower APR. You’ll also be more likely to receive multiple loan offers, giving you the power to compare and choose the best fit. When comparing loan offers, be sure to look at all of the loan factors, not just the APR or monthly payment. For example, the length of the loan term will also have a big impact on not only the size of your monthly payment, but also on the overall cost of your loan. That’s because each additional month you take to repay your loan means another interest payment. As a result, loans with longer repayment terms tend to cost move overall in interest fees than loans with shorter terms, so it’s important to find the right balance. With the typical new car coming in at a mind-boggling $36,270, auto loans have become increasingly important in staying on the road for the millions of people who don’t have over $30,000 laying around to buy a new car. Happily, a credit score in the 650 to 700 range will make qualifying for an auto loan relatively easy — or, at least, significantly easier than it would be with a lower credit score. That’s because auto loans are secured loans, meaning the vehicle you purchase will act as collateral. As secured loans, auto loans represent less risk to lenders than other loan types, so auto loans can often be obtained at much lower APRs than unsecured or personal loans. Pair a 650-plus credit score with a healthy down payment or trade-in vehicle, and you should have little trouble finding a decent auto loan. Not so long ago, car shopping involved a lot of hoofing it from lot to lot to find a car, then trudging from bank to bank to find financing. These days, many people get their financing directly from the dealer, eliminating the step in the middle. But how can you know you’re getting the best deal? Online dealer networks, like Auto Credit Express, help reduce the amount of searching it takes to compare loans and dealers. Instead, you can fill out a single application and connect with dealers in your area from the network’s array of partners, making it easy to compare options. Once you find the right dealer through Auto Credit Express, you’ll be put into contact with a representative from your dealer of choice. You can determine the best time for you to visit the dealership, where you will be able to select a vehicle from the dealer’s inventory. While it can be easy to get invested in a car, don’t forget about your budget. You should know exactly how much you can — and can’t — spend on a new vehicle and stick within that budget. After you choose a vehicle, you’ll complete the loan process with the dealer and drive into the sunset. Although it’s not always cheaper to own your home than to rent, there are myriad reasons most of us want to buy a house of our own beyond mere financial incentives. But houses are expensive, which means most of us will need to get a mortgage to realize that dream. In general, the rule of thumb is that lenders prefer your credit score to be at least 680, putting most consumers in the 650 to 700 range within reach of a conventional loan. If your score is lower on the 650 to 700 spectrum, an FHA loan might be the better option. Backed by the Federal Housing Administration (FHA), these loans are less risky to lenders, making it possible for them to accept a wider range of credit types. No matter what type of home mortgage loan you’re seeking, you can likely find it through LendingTree.com. An online lending network, LendingTree has dozens of lending partners that serve a variety of credit types. LendingTree makes it easy to compare rates, and the network can match borrowers with up to five offers with a single application. Don’t have a specific house in mind yet? LendingTree can help find out what you can afford by looking for pre-approval offers from its partners. Depending on the type of mortgage you’re after, of course, you won’t complete the full process all at once. After you find a lender through LendingTree, you’ll be taken to the lender’s website to see the full loan agreement and get the details on what you need to do next. In many cases, the lender will require that the property undergo an appraisal to ensure its value is equal to (or greater than) that of the loan. You may also need to have a full inspection done to show that the house is safe and in livable condition. If credit building is a marathon, then reaching the 650 to 700 range is like making it to the halfway point. In other words, more lenders will start taking an interest, but you’ll still need to put in some work before you’ll have access to the best deals. The goal at this point should be to continue the upward trajectory by practicing the responsible credit habits that got you this far. Ensure you’re always making your payments on time, pay your credit cards in full each month, and be mindful when opening new credit lines.